Multivitamins flood the shelves of every grocery store. So many different brands exist, making it overwhelming to pick the one right for you. Comparing the value and nutrient content of the available brands is a way to decide which multivitamin to buy. The following comparison charts can help you determine which brand may be best for your own needs. Due to the high volume of multivitamins available, it's difficult to know which one is right for you. There are a few key guidelines to consider when choosing a multivitamin. Look for a USP, ConsumerLab, NSF, or UL certification on the bottle. The FDA does not regulate supplements, so these certificates indicate the supplement contains the ingredients in the amounts listed with nothing additionally added in. Price isn't everything. Supplements widely range in price and just because one multivitamin is more expensive than another does not necessarily mean a better product. Always research the brand to see if it is certified by one of the above organizations. Know what's in the supplement. Many multivitamins also contain herbal supplements such as milk thistle, green tea extract, etc. Herbal supplements can interact with some medications so check with your doctor before beginning supplementation. More isn't always better. Some multivitamins provide over 1000 percent of the daily needs of a nutrient. In excess, some vitamins can cause negative symptoms and toxicity. When paired with a healthy diet, a multivitamin that provides around 100 percent of the daily needs is the sufficient. Stick to the pills. Although the gummy vitamins taste great, they typically contain sugar and artificial food coloring; two ingredients you don't want when trying to boost your nutrition. Use caution with children as the gummy vitamins may taste like candy, but too many could have negative consequences. Multivitamins shouldn't be substituted for a healthy diet. Although some health conditions require vitamin supplementation, the average person can get most of their vital vitamins and minerals from a well-rounded, healthy diet. A diet filled with colorful fruits, vegetables, lean meats, whole grains, nuts, and seeds can help you achieve the necessary vitamin requirements. Although some individuals benefit from taking a multivitamin supplement, they are not necessary for everyone. 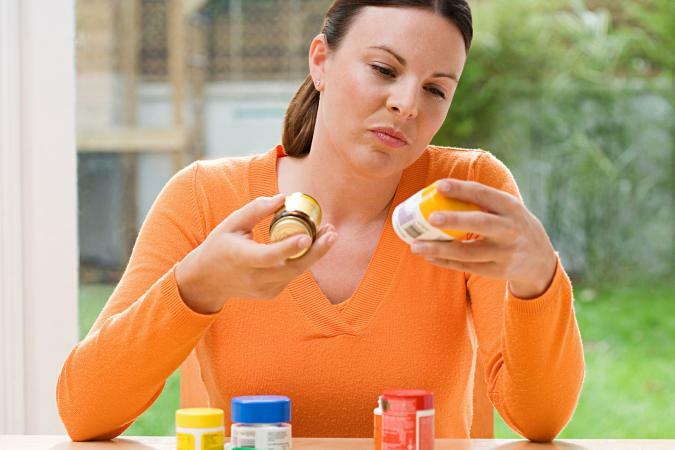 However, if you are taking a multivitamin, it can be challenging to choose the right one. Using certifications put forth by USP, ConsumerLab, NSF, or UL can help ensure you are purchasing a quality product. Avoid going overboard with supplements as a healthy diet can provide the majority of the nutrients needed in a day.